Regarding the addiction epidemic, people are abusing substances much younger. Therefore, teen drug addiction treatment is often necessary. For example, most high school seniors abuse drugs like marijuana, cocaine, and prescription medications. Understanding the importance of teen and young adult drug rehab is crucial to your loved one’s well-being. One of the biggest addiction development risks is age. When you’re young, your brain hasn’t fully matured. The prefrontal cortex primarily defends us against addiction. Unfortunately, this part of the brain doesn’t develop until you’re in your late twenties or early thirties. During adolescence, young people learn how to cope with the struggles of everyday life. Therefore, when teens begin turning to drugs or alcohol to handle stress, the brain learns poor habits. Naturally, we repeat actions that relieve negative feelings and emotions. As young people continue using drugs, their brains won’t understand healthy stress relief outlets. During brain development, young people are at higher risk for mental illness. For example, most people develop symptoms between 14 and 24. Often, they don’t know what’s happening or how to make them go away. As a result, many adolescents turn to drugs and alcohol to ease their symptoms. Furthermore, young people face Post-Traumatic Stress Disorder (PTSD) as well. This occurs when teens experience trauma at a young age from physical, verbal, or sexual abuse. Thus, they’ll experience high levels of anxiety and fear during flashbacks. Many teens aren’t willing to open up about these painful symptoms and continue suffering. If you’re noticing your teen struggles with substance abuse issues, it’s never too late to get help. While in the early stages of addiction, it’s much easier to break the cycle. 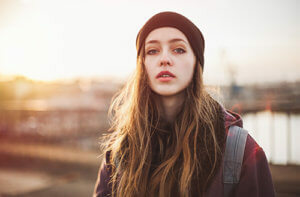 Fortunately, with the individualized treatment methods we provide here at 1st Step Behavioral Health, your son or daughter has the best chances of successful recovery. If you want to give your son or daughter the opportunity to thrive, call us today at 866-319-6126.